WHAT IS FREEMASONRY? « THE BRYCE IS RIGHT! – Is it a club, a corporation, a religious cult, a PAC, a philanthropy, or a fraternity? NEXT UP: WHO DO WE TRUST? – Our family and friends, our co-workers, our boss…? LAST TIME: THE PROBLEM WITH COLD CALLS – Despite our sophisticated technology, you still cannot speak to the right person. – Despite our sophisticated technology, you still cannot speak to the right person. This entry was posted on January 22, 2014 at 6:00 am	and is filed under Social Issues. Tagged: Florida, palm harbor, The Bryce is Right, tim bryce, WHAT IS FREEMASONRY?. You can follow any responses to this entry through the RSS 2.0 feed. You can leave a response, or trackback from your own site. “I just thought I would drop you a line to say how much I enjoyed reading the above post from yourself. It goes a long way to demystifying the Craft. I have a better understanding now,thanks. “I certainly agree with the comments written within this topic of discussion. I especially love the quotes you stated regarding the Freemasonry and its tenants of Friendship, Morality and Brotherly Love. 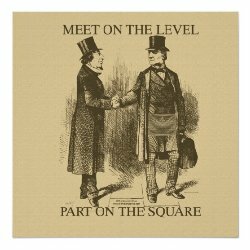 Yes, every Mason should strive to enhance the development of his character to be a paragon within society. Again, I enjoyed reading this article. Your statement is really very educational and more understandable for those who haven’t seen the light. Because you have already broken it down to the lowest form for them to know what Freemasonry is all about, and not listening to the fake news people are carrying. I am so proud to be a Mason because I have learned a lot from its teachings and it has really made me a better man from what I used to be. That is why I wanted to drop this short note. Three of my friends joined Masonry today because of my charity work and knowledge I have acquired. I keep praying for more wisdom and courage. I thank you so much for this wonderful statement and I pray the TGAOTU will keep on showering his blessings on you.